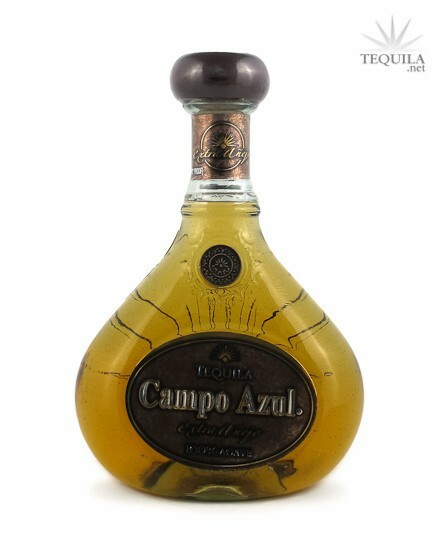 Campo Azul Tequila Extra Añejo is 100% Agave, and aged for over 36 months in white oak barrels. 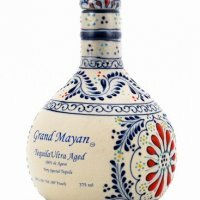 Campo Azul Select Series is a line of products specially developed for aficionados with a demanding palate, that enjoy products of quality and finesse. The full line of Campo Azul Tequilas carry an authentic hologram, partially covering the cap of the bottle, to guarantee the quality and safety of the contents. My first couple of experiences with Campo Azul were less than stellar because of persistent alcohol hotness that really took away from a baking spice forward juice that was otherwise pretty decent. Upon pouring this, I was hoping that the rough edges would be smoothed out by the extra aging. Aroma: A nice complex aroma of agave, oak, vanilla and toasted nuts. Initial Taste: Cooked agave with compliments of light vanilla, oak, fruit and nuts. They mix together really well. Body: Awesome body. All of the flavors that are in the initial taste working together in perfect harmony. Finish: A medium length finish with nice nutty agave linger. Some baking spices and oak round it out as well. The agave isn't as present because of the extra aging, but there's also no burn on the way down. This is a very pleasant sipper. It looks like the extra aging did this brand some good. The time in the barrel gave nice spice and nut flavors and made the finish very enjoyable. This is a tequila to be sipped and savored and is by far the best of the Campo Azul line. It's a decent value for the price for an extra anejo.